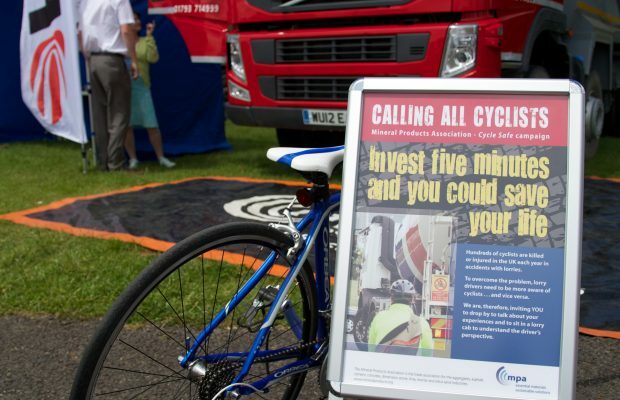 This Sunday, August 28, Hills Quarry Products will once again make its way to the famous Castle Combe Circuit to promote the Mineral Products Association’s (MPA) national Cycle Safe Campaign at the Castle Combe Family Cycling Day. Equipped with two of its familiar red heavy goods vehicles from its fleet, Hills will be on hand to discuss the risks of cyclists undertaking lorries and getting too close at left-hand turns and roundabouts. On the day cycling enthusiasts will be given the opportunity to sit in the cab of a lorry to understand the driver’s perspective, experience visibility issues and share their own road experiences. Cycle Safe leaflets, which give practical tips on ways to prevent potential dangers, will also be handed out.